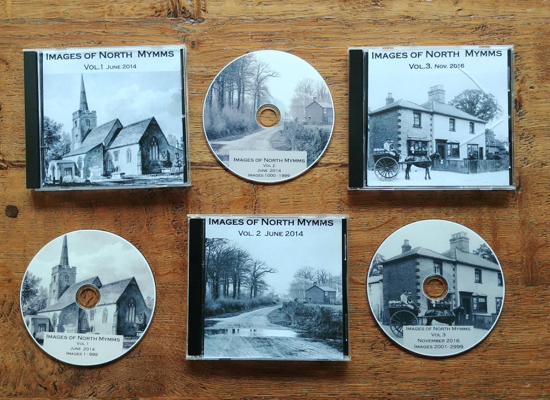 This feature about the origin of the name 'Moffats' was written for the newsletter produced by the former North Mymms Local History Society by local historian Bill Killick. It is one of several reproduced on this site in an effort to try to preserve as much of the archived material as possible. 'Moffats Lane', 'Moffats Farmhouse' and the house called 'Moffats', all perpetuate the name of a family who held property in the parish at the end of the 16th century, but of whom little is known. Unfortunately, although in 1538, all parishes were instructed to record baptisms, marriages and burials, the only early such record for North Mymms that has survived covers the period 15th August 1565 to 26th March 1568. In this there are two entries which I think refer to the Moffat family. 1565 "John Morflett son of Richard Morflett was baptized the 4th day of November"
1567 "Thomas Murfler the son of William Murfler was baptized the 29th of February"
Note: This is my reading of the script; the curious spelling of surnames was common when most people were illiterate. The surviving parish registers begin in the 1660’s and the ‘Bishop’s Transcripts’, although not complete, from 1605. The name Moffat does not appear in any of these. I have examined the surviving ‘Lady Subsidy’ (taxation) assessments for North Mymms, from c.1523 to 1599, but again no Moffats are recorded. However the records of the Duchy of Lancaster show that in 1583/4 William Muffet gentleman, paid a ‘fine’ for entry upon land, part of Brookans Manor, including Nashes, which he had purchased off Sir John Brockett. The Duchy’s archive also contains a ‘rental’, dated 5th March 1593/4, of the freeholders in the manors of North Mymms and Brookmans, which shows that William Muffett held property ‘freely’ of both manors. 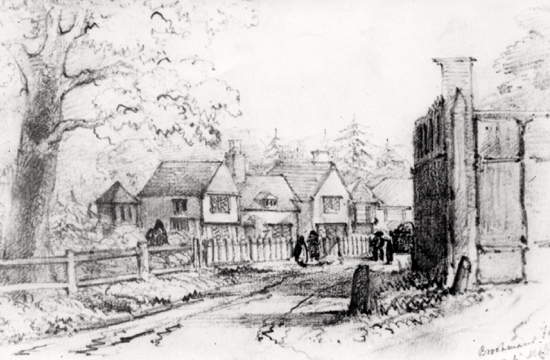 Deeds in the Brookmans archive, deposited in the Hertfordshire Record Office, confirm that William Moffett, citizen and Skinner of London, the second son of William Moffett, of Chipping Barnet, held two farms adjoining, ‘the lane or highway which leadeth from Bradmore Croft unto North Mymms Wood or Common’. These were almost opposite each other, one on the north side of the homestead of which was the timber framed house now called ‘Moffats Farmhouse’ and the other on the south, the homestead of which stood on the site now occupied by the house called, ‘Moffats’. 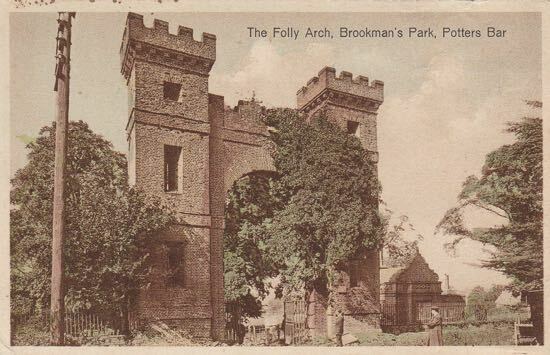 The farm on the north side, was known as ‘Walters farm’, and had been held ‘freely’ of the Manor of Brookmans since at lease 1424, when Joan Walter, widow or daughter of Gilbert Walter, was mentioned in the Manor Court Roll, in connection with some of this land. William Muffett sold it to William Carter in 1616 and in 1676 Andrew Fountain of Brookmans purchased it. He took the land near the farmhouse into his own hands and let the house, with other land, on short leases. It was not called Moffats Farm, but continued to be known as ‘Walters Farm’ until the 19th century. The farm on the south side, known as ‘Nashes’, was held ‘freely’ of the Manor of North Mymms and was sold by William Muffett about the same time, to Thomas Docwra esquire. It passed through several hands until, in 1662, Thomas Robards sold it to Peter Sambrook, citizen and Apothecary of London, when the deed records it as formerly called Nashes and now commonly called or known by the name of Muffitts farm". Note: Peter Sambrook (1625-1691), was closely related to the family of Jeremy Sambrook, who purchased Gobions in the 18th Century. By 1691, when he made his will, Peter Sambrook had replaced the farmhouse by, "all that mansion or dwelling house which I lately erected and built at or near Northmims". In the marriage settlement, made in 1692 by John Sambrooke, Peter’s son, it is described as, "all that mansion house lately erected and new built by the said Peter Sambrooke in the room or place of a farmhouse heretofore called or known by the name of Muffits". This forms the original core of the present house ‘Moffats’.